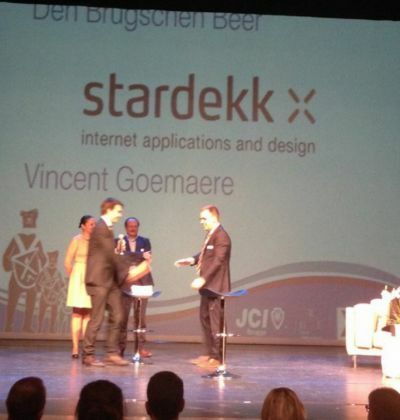 Vincent Goemare, CEO of Stardekk, won Den Brugsche Beer award 2015. Mister Goemaere was one of the three nominees which were seen as possible winner of den Brugschen Beer Award. The other nominees were Velotel and Ginkgo. Last year the award was won by Peter Callant with his insurance company. Each year JCI Brugge chooses a person, an association or a company that is a surplus value for the region of Bruges. Stardekk specializes in online software & development of websites for the hospitality industry., with programes such as Cubilis and Restobooker (restaurant software). The online hotel software is used by more than 2500 hotels in more than 44 countries worldwide. Stardekk is PCI Compliant and preferred IT partner of large industrial companies such as Booking.com, Expedia & Premium partner of TripAdvisor. 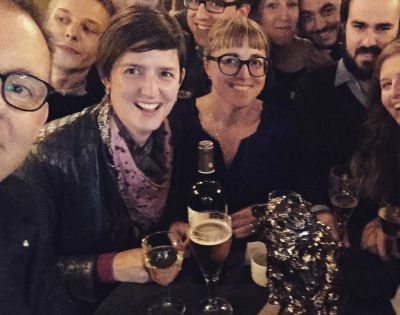 Next to winning the renowned Brughschen Beer, Stardekk also won earlier this year the Innovation Award 2015 with Ratebox.This week the company was also nominated for the Deloitte's Technology FAST50 list. This year Stardekk moved to the Baron Ruzettelaan 25 “Hof Van Versailles” in Bruges, the building was built approximately 1900 and was used for post point - which is nicely in line with the activities of Stardekk.